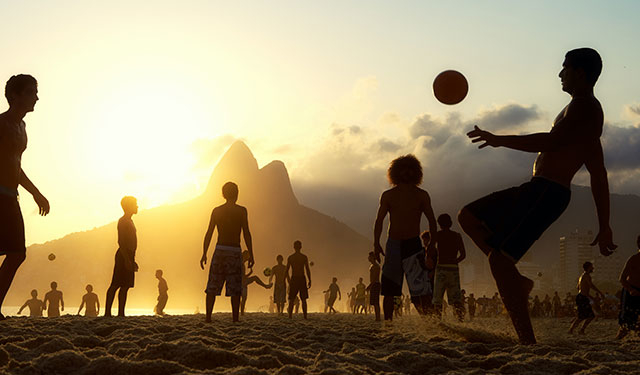 Rio de Janeiro, the second-largest city in Brazil, is one of the most visited cities in the Southern Hemisphere. 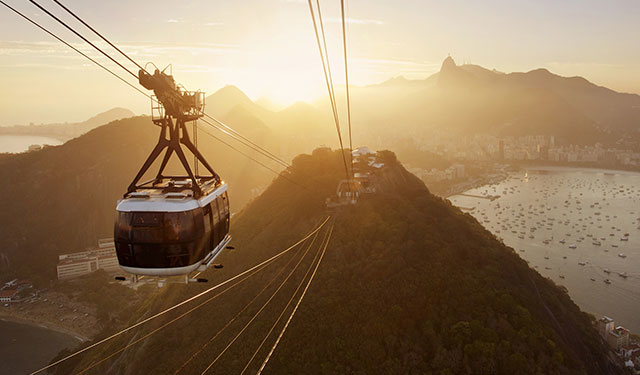 World famous for Carnival, samba dancing, bossa nova music and legendary beaches, the city’s biggest draw is the giant statue, Christ the Redeemer, that overlooks the city. 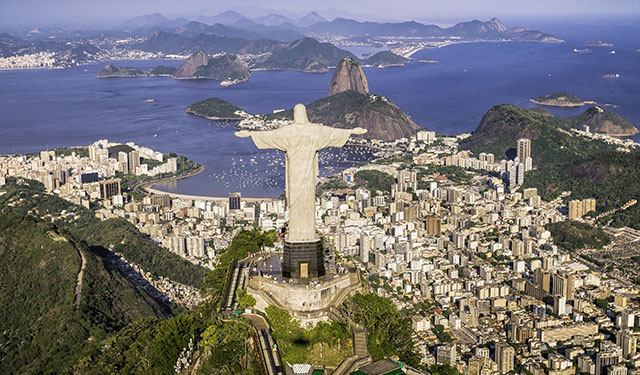 On your half-day Corcovado and beaches tour, you’ll visit Christ the Redeemer, one of the Seven Wonders of the World. 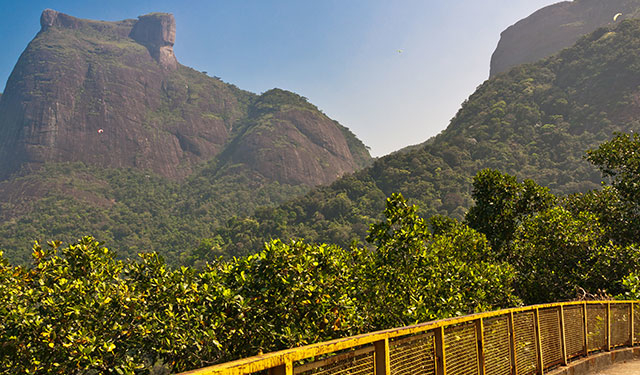 Hop aboard a cog train and take a trip through the Tijuca Forest, the world’s largest urban forest, and up to the statue and marvel at panoramic views of Rio, Sugar Loaf, Guanabara Bay and the Rodrigo de Freitas lagoon. • 4 days and 3 nights at Windsor Leme Hotel, Av. Atlântica, 656, Leme, Rio de Janeiro, CEP 22010-000, Brazil. • Featuring Superior Room accommodations with king or twin beds with air conditioning. • Half-day Corcovado and beaches tour. • An In-destination Support Specialist will be provided when 20 or more adults book this trip. Their goal is to ensure you have a great DreamTrips experience from landing to liftoff. They host a welcome reception on arrival day, attend scheduled activities throughout the trip, notify the group of itinerary updates and more. December 17, timing based on arrival: From RIOgaleão – Tom Jobim International Airport to hotel. December 20, timing based on departure: From hotel to RIOgaleão – Tom Jobim International Airport. • To take advantage of round-trip airport transfers, you must provide your flight information to the DreamTrips Specialist no later than December 2. These transfers are available only for the airport(s) and dates listed above. Click here to give us your flight information. Transfers will not be offered if the flight information is not received by the deadline and transfers at any other time will incur a separate charge. Do not email flight information to the DreamTrips Specialist. 2 p.m.: Check into the hotel. Welcome barbecue and seafood dinner at the Churrascaria Palace (beverages not included). 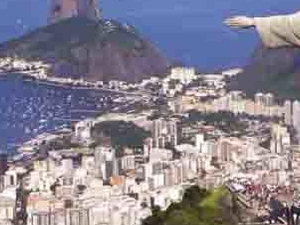 Half-day Corcovado and beaches tour, including a visit to the Christ the Redeemer statue. Lunch at the Rialto Restaurant in Barra da Tijuca (beverages not included). Set dinner at the Rio Scenarium bar with a salad, hot dish and dessert, and up to 3 hours of beverage service. - Air transportation is not included. The closest commercial airport is RIOgaleão – Tom Jobim International Airport (GIG). 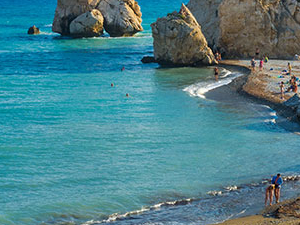 For any questions regarding this trip, contact the DreamTrips Specialist at DreamTrips@rovia.com. Check-in: 2 p.m. Check-out: noon. Additional Information : Up to 325 DreamTrips Rewards Points (Or 325 USD) may be used for this booking. 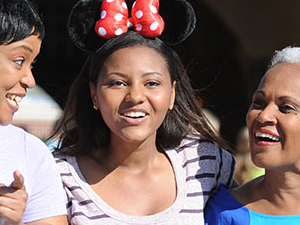 DreamTrips Rewards Points from more than one membership may not be combined. Maximum occupancy is 2 adults. Due to hotel restrictions, additional guests will not be allowed in the same room. This trip is for adults only. Children under age 13 are not permitted on this trip. All guests are charged the adult rate. Age is determined at the time of travel. At the time of booking, you will see a page with your order number and trip cost. This is your confirmation. Please retain and bring this information with you on your trip. Another confirmation will not be sent. The minimum age to attend this trip is 13. If you are traveling internationally to join this trip, please ensure that your passport is current and any required visa is obtained and valid. Many countries require passports and/or visas to be valid for a minimum of six months after the end date of this trip. It is your responsibility to obtain any required visas and other documentation prior to traveling. If you are unable to obtain a visa, the Cancellation Policy for this DreamTrip will apply. All travelers will receive a series of emails containing their trip’s details starting a few weeks prior to the departure date, as well as a welcome home email after the trip. This trip will close by November 17. 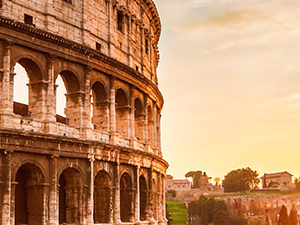 Platinum Members may use up to 390 DreamTrips Rewards Points (Or 390 USD) for this booking. 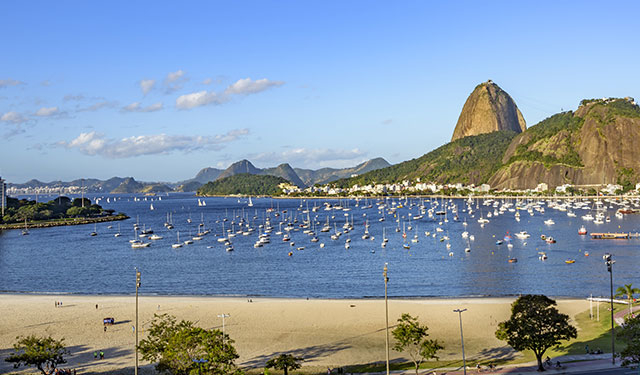 This DreamTrip to Rio De Janeiro features a Platinum room upgrade to a Deluxe Ocean Front room. Life is good when you're a Platinum Member! If you cancel 46 days or more prior to your trip, you’ll get a full refund. If you cancel within 45 days of your trip, your trip will not be refunded. If you change any name(s) on your booking 45 days or more before the start date of your trip, there will be no fee for the name change(s). If you change any name(s) on your booking 44 to 31 days before the start date of your trip, you’ll be charged a fee of 50 USD per name change. Name changes are not permitted within 30 days of the start date of your trip. An In-destination Support Specialist will be provided on all trips with 20 or more adults traveling. Please note: Due to contractual supplier policies, your DreamTrips Specialist may not be able to confirm requested name or room changes to existing bookings for trips that are scheduled to travel within 30 days of your request. Members with additional people in room, not booked prior to travel, will be charged the hotel’s prevailing rate, not the trip price.